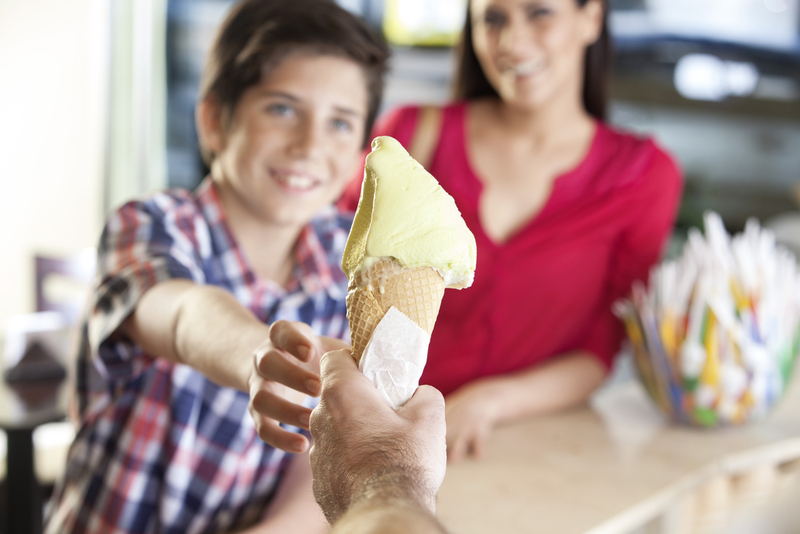 On Wednesday of this week, we mark the official first day of summer, and it got us thinking about seasonal franchise opportunities. When we think of seasonal businesses, we may conjure up images of waterparks (not much fun in winter) or ski resorts (not as much fun in summer). The point we’re trying to make is that there are franchises out there with a heavy amount of business in one particular season (or time frame). So what happens to the rest of the year? Some people purposely look for seasonal franchises, because it gives them even more flexibility and time off. For the rest, there are insightful ways to keep up the business momentum year-round. One of the most obvious seasonal franchise opportunities includes tax preparation businesses such as H&R Block and Liberty Tax Service. It’s a certainty that from Jan. 1 – April 15, their business will be going like gangbusters. So, what happens at the end of April when all the wrap-up activities are completed and there’s little walk-in business? One way many of the successful franchise owners keep the cash flow coming in is through diversification of services. Because tax preparation services are heavy on accounting, many franchise owners branch out and offer “off-season” services to their existing clients while attempting to win new business. After all, payroll, accounting, accounts receivable and accounts payable are all fair game when it comes to business services. Another tip for seasonal franchise owners is to offer year-round consultancy services. Sure, you can be the tax expert during tax season, but that doesn’t make you any less of a tax expert in the off-season months. Business consulting is, in effect, an entirely value added service and can be applied in multiple areas of clients. This may include consulting on efficiencies, cost/benefit analysis, and even forecasting. Consulting can take many forms and the only qualifying factor is that you truly be an expert at the services you’re offering! As stated before, many seasonal franchise owners took this particular route because they do prefer the additional downtime to pursue other interests—both personal and business-related. In fact, they may own other small businesses which heat up at just the right time of the calendar year to keep income levels and cash flow steady on an annual basis. It also gives them greater control in doing exactly what they prefer, when they prefer. Seasonal franchises may also work in conjunction with an owner of multiple concepts. For example, a tax preparation franchise owner can go into hibernation beginning in May and focus on a summer based business such as a frozen yogurt franchise. It’s a well-known industry fact that most seasonal franchises have lower initial cost and setup fees compared to non-seasonal franchise opportunities. In fact, a thrifty franchisee could basically set themselves up for a multi-unit franchise operation—and choose different concepts for each business! The key to keeping your momentum year-round in a seasonal franchise is to manage both the fixed and variable costs during the down months. This may include building or vehicle leases, and various equipment costs. Seasonal franchise owners should do what is necessary to lower their variable costs, which first and foremost includes labor demand, followed by marketing and outreach. Finding the right ratios year-to-year is of utmost importance. Another handy tip is the evaluation of vendor agreements and services. Put these up for review at the close of the busy season and make sure you’re getting the best value for your investment on an annual basis. Seasonal franchises can keep their momentum throughout the year, provided that careful planning and continual assessment are part of the bargain.